The high-quality M-Nutrition natural health products are perfect for those who look after their own health and well-being – which means all of us! The products are made only of pure natural ingredients. Our selection contains the most important vitamins and minerals for the health and well-being of your body. 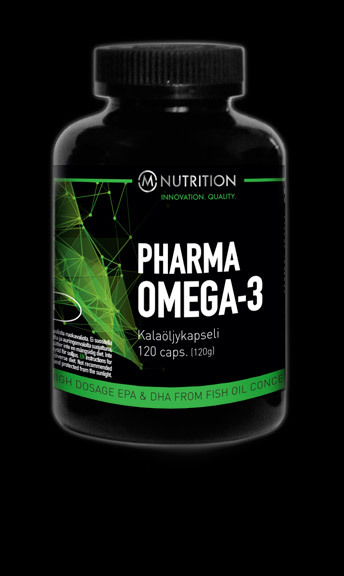 Strong Multivitamin & Mineral has been developed to supplement the daily intake of nutrients. It contains all the necessary vitamins and minerals in an optimal ratio. 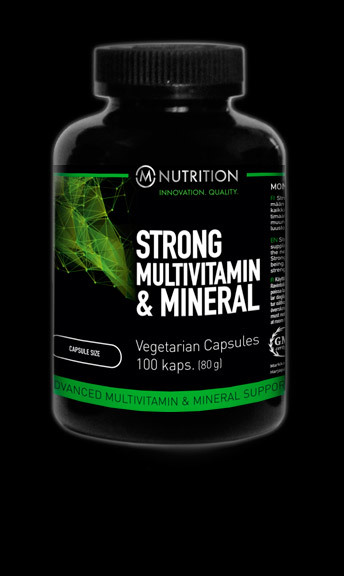 Strong Multivitamin & Mineral supports overall wellbeing, promotes the health of muscles and bones and strengthens immunity. Instructions for use: 2 capsules daily. The recommended dosage must not be exceeded. Dietary supplements do not replace diverse diet. Storage at room temperature, out of reach of children and protected of sunlight. 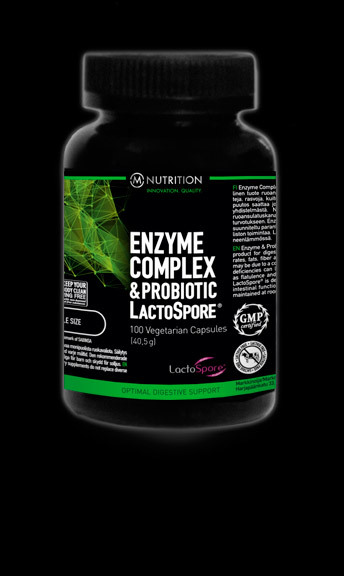 Enzyme & Probiotic Complex LactoSpore® is an advanced product for digestion. Product breaking down carbohydrates, fats, fiber and protein effectively. Enzyme deficiency may be due to a combination of age, diet and lifestyle. These deficiencies can lead to various digestive disorders such as flatulence and swelling. Enzyme Complex & Probiotic LactoSpore® is designed to improve digestion and support intestinal function. 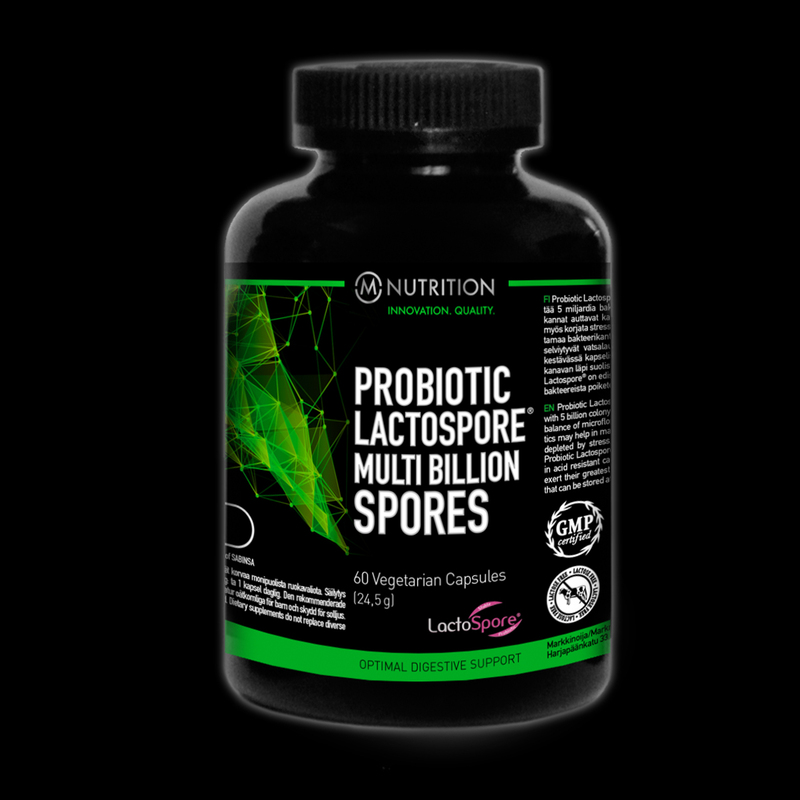 LactoSpore® is a probiotic, which is maintained at room temperature. Instructions for use: take 1 capsule with each meal. The recommended dosage must not be exceeded. Dietary supplements do not replace diverse diet. Storage at room temperature, out of reach of children and protected from the sunlight. Probiotic Lactospore on täysin uusi ja innovatiivinen probioottivalmiste, joka sisältää 5 miljardia bakteerikantaa kapselia kohden. Nämä bakteerikannat auttavat kasvattamaan hyvän suolistoflooran ja ne voivat myös korjata stressin, antibioottien ja suolisto-ongelmien vahingoittamaa bakteerikantaa. Probiotic Lactospore -maitohappobakteerit selviytyvät vatsalaukussa vaikeimmissakin olosuhteissa haponkestävässä kapselissa ja kulkeutuvat siten helposti ruoansulatuskanavan läpi suolistoon, jossa niistä saadaan paras hyöty. Probiotic Lactospore on edistynyt probiootti, joka säilyy muista maitohappobakteereista poiketen myös huoneenlämmössä. Käyttöohje: 1 kapseli ruokailun yhteydessä. Ohjeen mukaista annostusta ei saa ylittää. Ravintolisät eivät korvaa monipuolista ruokavaliota. Säilytys huoneenlämmössä poissa lasten ulottuvilta ja auringonvalolta suojattuna. Weight: Vegetarian Capsules, 60 kaps. 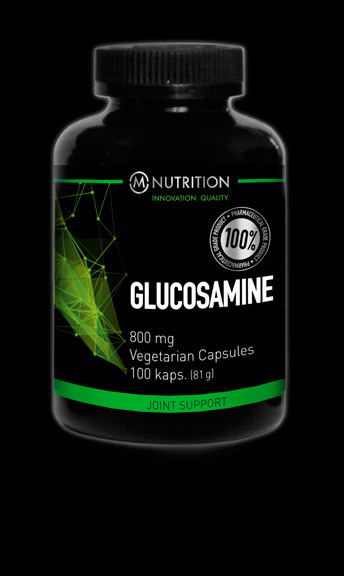 Glucosamine is a component of cartilage, intervertebral discs, articular surfaces and fluid. It plays a crucial role in cartilage flexibility, durability and function. Glucosamine is particularly well suited for people who do demanding and strenuous sport activities or heavy physical labor. In addition, Glucosamine is suitable for people who suffer from joint problems. Instructions for use: 2 capsules daily. The recommended dosage must not be exceeded. Dietary supplements do not replace diverse diet. Storage at room temperature, out of reach of children and protected from the sunlight. Magnesium is a necessary mineral in terms of person’s overall health. Magnesium has a redeeming effect for cells and it participates widely to many physiological functions of the body. 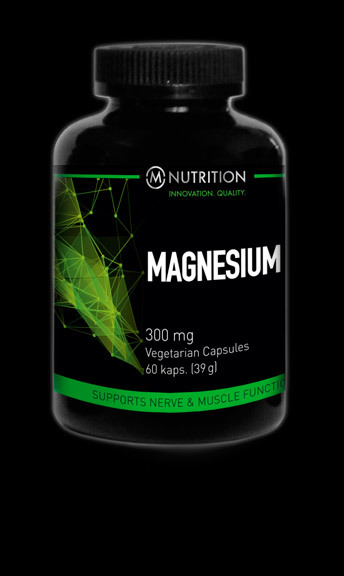 Among other things, magnesium improves absorption of calcium, maintains the health of heart and blood vessels, calms down the nervous system and improves the quality of sleep. Instructions for use: 1 capsules daily. The recommended dosage must not be exceeded. Dietary supplements do not replace diverse diet. Storage at room temperature, out of reach of children and protected from the sunlight. 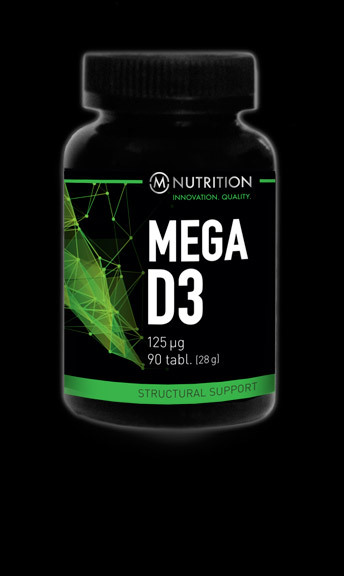 Strong Mega D3 contains vitamin D3 (cholecalciferol), which supports bone health, immunity and cardiovascular system function. In addition Mega D3 enhancescell metabolism. Vitamin D3 is known to be involved in more than 200 different gene functions and plays a key role in many metabolic processes. Instructions for use: 1 tablet daily. The recommended dosage must not be exceeded. Dietary supplements do not replace diverse diet. Storage at room temperature, out of reach of children and protected from the sunlight. Melatonin is a sleep aid and a relief for occasional sleeplessness. 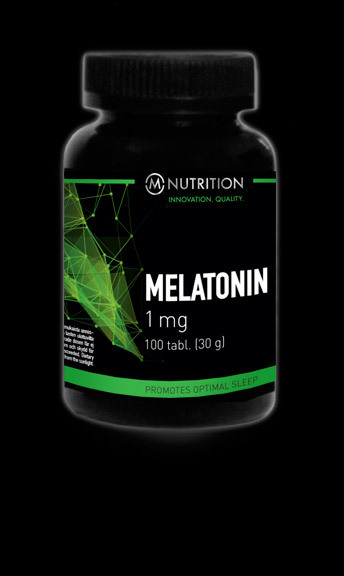 Melatonin helps maintain normal sleep patterns to promote a more restful, relaxing sleep and promotes overall health. Melatonin also works as an aid for jet lag. It relieves the individual effects due to time difference, such as fatigue, irritability, and difficulty concentrating. Instructions for use: 1 tablet 1 hour before bedtime. The recommended dosage must not be exceeded. Dietary supplements do not replace diverse diet. Storage at room temperature, out of reach of children and protected from the sunlight. Instructions for use: 1-3 capsules daily. The recommended dosage must not be exceeded. Dietary supplements do not replace diverse diet. Not recommended for people with blood clotting is impaired for some reason. Storage at room temperature, out of reach of children and protected from the sunlight. Strong Green Tea Extract contains green tea, which is widely known for its general health benefits. Green tea contains EGCG (epigallocatechin gallate), which is a powerful antioxidant. 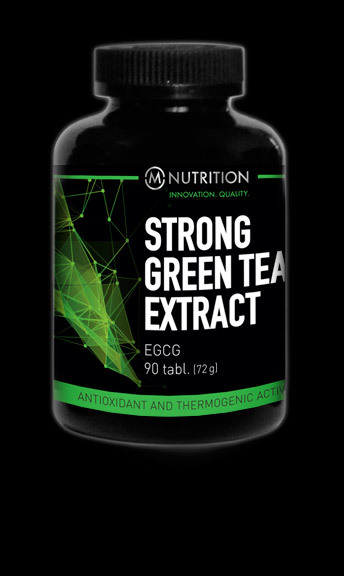 Strong Green Tea Extract also has some thermogenic properties, which helps to increase metabolic activity. In addition, green tea supports the body’s circulatory system. Strong Green Tea Extract is ideal for weight management and to support overall health. Instructions for use: 1-2 capsule daily. The recommended dosage must not be exceeded. Dietary supplements do not replace diverse diet. Storage at room temperature, out of reach of children and protected from the sunlight. 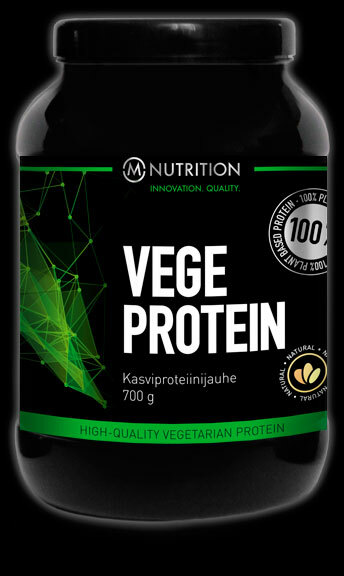 Lactose free and gluten free VegeProtein is a high-quality, 100% vegetarian-based on protein mix. VegeProtein suits especially well for people, who suffer from problems with digestive tract, food allergies or people who have lactose intolerance. VegeProtein dissolves easily in water and has a neutral taste. Instructions for use: Mix 1 scoop (30 g) of powder with 3 dl of water. Take 1-3 serving per day. Storage at room temperature, out of reach of children and protected of sunlight. Vitamin B-Complex contains B-group vitamins, which are vital for the body. They are involved in nutrient energy metabolism, nerve and brain cell function and cardiovascular health. Vitamin B-Complex also supports skin, hair, muscle and bone health. 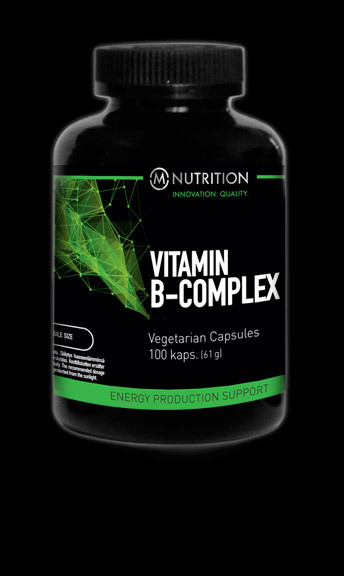 Vitamin B-Complex contains all necessary B-group vitamins in optimal ratios. Vitamin B12 is an important vitamin for the body, which it uses for protecting the nerve cells, the formation of red blood cells and in the metabolism of fats and proteins. Vitamin B12 is also very important in brain and memory function. 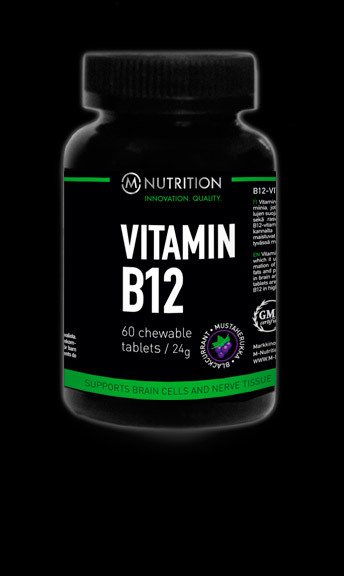 Vitamin B12 chewable tablets are blackcurrant flavoured and contain vitamin B12 in highly absorbable form (methylcobalamine). 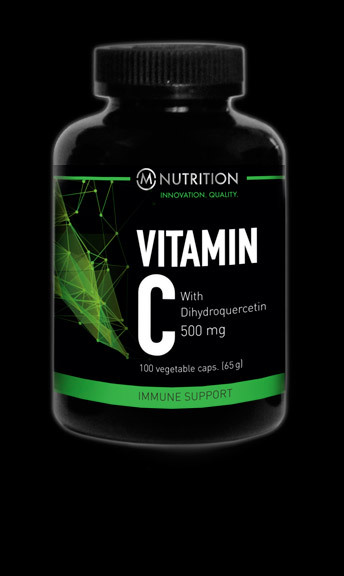 Vitamin C (ascorbin acid) is an antioxidant, which contributes to the normal function of the immune system and protects tissues from oxidative stress. Vitamin C supports iron absorption and prevents it from oxidation. In addition, Vitamin C enhances the formation of collagen, which supports the normal function of the bones and skin. Zinc is an essential mineral for normal growth and development. It maintains overall immunity, strengthens the skin, hair and nails, supports the endocrine system and promotes essential fatty acid activity in the tissues. 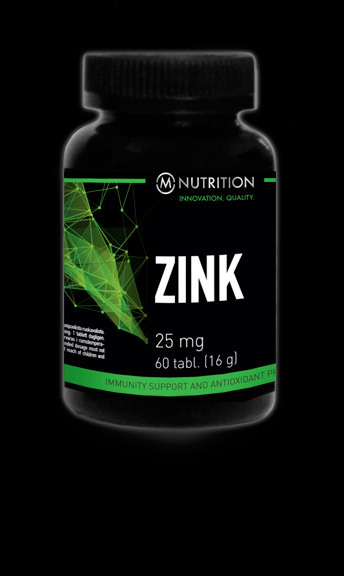 Zink contains zinc gluconate which is well-absorbed and effectively utilized by the body.